Fire engines were called this morning (04:02 on 30 December 2012) to a fire in building on Nydd Vale Terrace. Fire was discovered in the basement of a two storey converted flat, with a pile of clothing and a bookcase alight in the living room. Fire fighters wearing breathing apparatus and using hosereel jets, entered the property and extinguished the fire. The clothing and bookcase were destroyed by fire and the remainder of the basement flat sustained heat and smoke damage. There was also smoke damage to the ground floor flat above. One male occupant was out of the flat on the arrival of the Fire Service and was believed to have suffered smoke inhalation. An ambulance was requested and he was left in the care of the paramedics. Fire crews used a positive pressure ventilation fan to clear the smoke from the building and a thermal imaging camera to carry out a full inspection. The cause is believed to be due to discarded smokers materials. 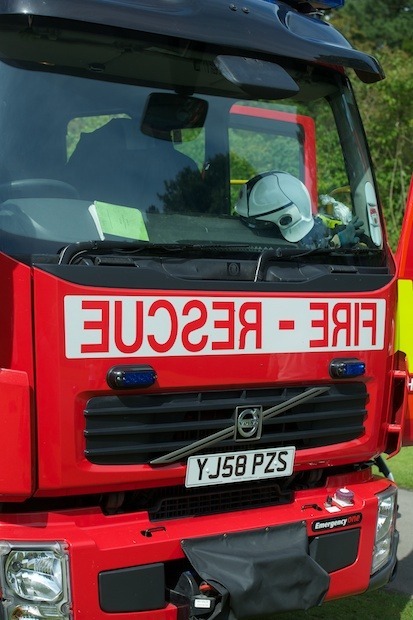 There were no smoke detectors fitted in the flat or elsewhere in the building so crews fitted two on the communal landings before leaving the scene.